Vishwajit Rane had earlier stated that there were more disillusioned MLAs in the Congress Party and they could resign as well. At the floor test conducted in the Goa Assembly today, which Chief Minister Manohar Parrikar won, Vishwajit Rane was not present. He left the floor after being administered oath by the pro-tem speaker. The Congress strength was thereby reduced to 16 in the House. 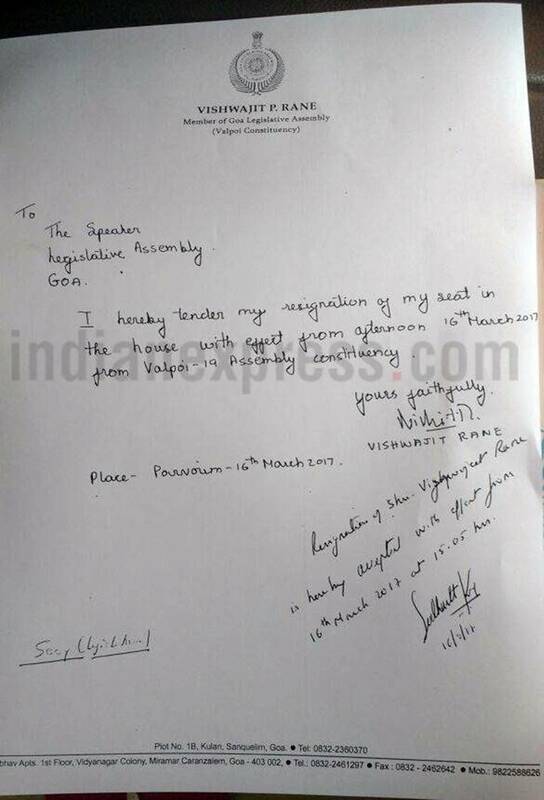 On his letter to Rahul Gandhi, Rane said: “I have not got any reply from him (Rahul Gandhi), have no hopes for the same. Don’t want to comment on him.” Rane won the election from Valpoi with 13,493 votes. His closest competitor was Satyavijay Naik of the BJP with 7815 votes.